1.Set up the Backup. 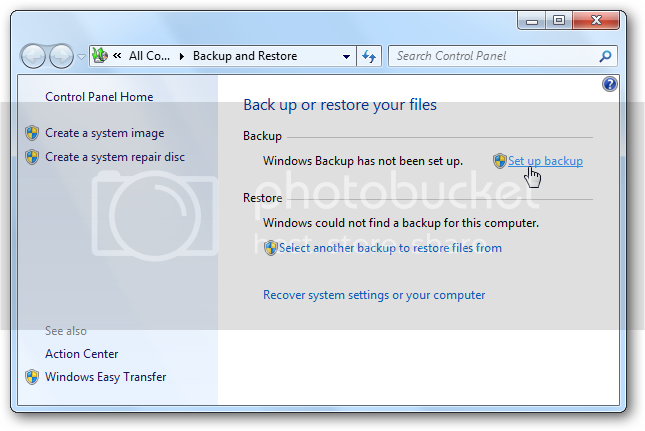 2.In the Back up or restore your files window click the link to set up a backup. 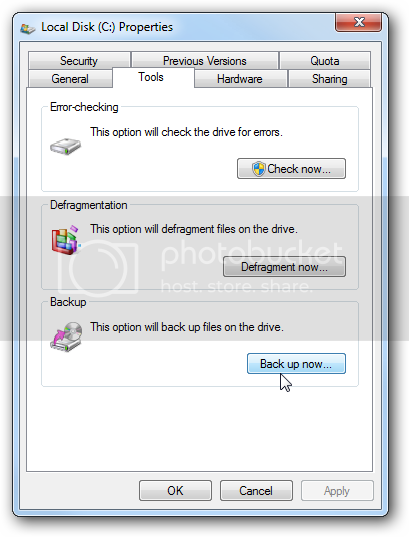 3.Windows will search for a suitable drive to store the backup or you can also choose a location on your network.